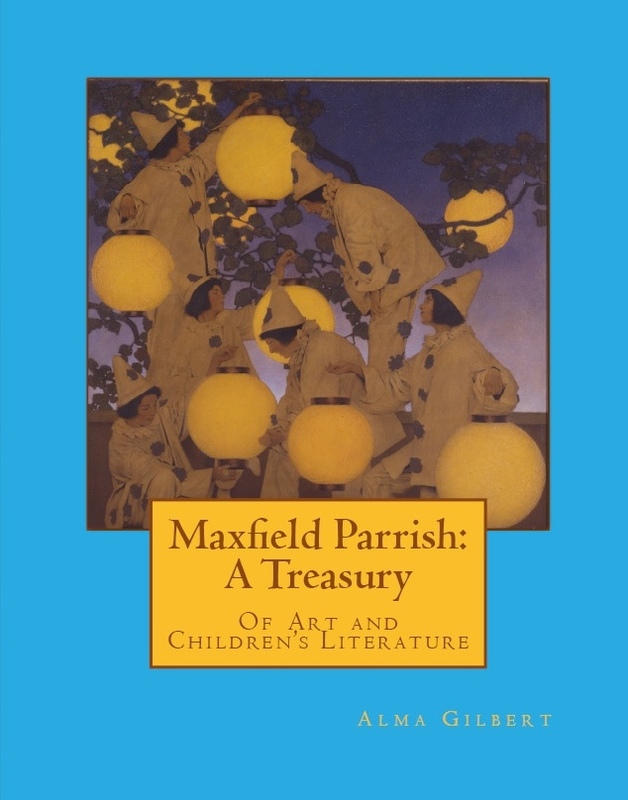 Based on three hundred twenty-three previously unknown letters Maxfield Parrish wrote to a young woman late in his career(1936–1941), the book is a poetic description of the beauty of New Hampshire and life among the Cornish Artist Colony. Soft cover. 200 pages. Color and B&W illustrations. Address all orders to: ALMA GILBERT BOOKS, 2275 West 25th Street, #38, San Pedro, CA 90732. Price is $39.95, plus $4.95 postage. California addresses require an additional $3.60 for sales tax. Copies will be signed by Alma Gilbert upon request. The little known story of artist Maxfield Parrish’s mechanical abilities and love of machinery. Soft cover. 91 pages. More than 85 color and B&W illustrations. Address all orders to: ALMA GILBERT BOOKS, 2275 West 25th Street, #38, San Pedro, CA 90732. Price is $20.00, plus $3.95 postage. California addresses require an additional $1.80 for sales tax. Copies will be signed by Alma Gilbert upon request. Over thirty classic poems and fairytales are illustrated by Maxfield Parrish. Meant to be enjoyed by children and adults alike. Soft cover. 98 pages. Color illustrations.